Recognized as one of the most prominent social figures and philanthropists, Jahangir Moghul was born in Karachi on January 5, 1956. He is also acclaimed as one of the leading entrepreneurs of the country, who has made monumental contribution in the social sector as well. He has been a Patron of the famous Tai’s Karate Centre for the past many years besides being the President of the Sindh Softball Association. Jahangir Moghul has had outstanding record in his scholastic career having studied at the most prestigious of educational institutions. After doing Senior Cambridge from the Karachi Grammar School, Jahangir Moghul completed his graduation in science from DJ College, Karachi. He did his post-graduation at the Institute of Business Administration before undertaking courses in collateral services, through Bank of America, at San Francisco and Los Angeles. After completing education he joined the family-owned enterprise, Moghul Group established since 1947, having interests in cotton, commodities, ginning, textile, finance, steel, oil and petroleum. He has attended innumerable workshops, symposia and seminars besides taking various short courses from time to time. Jahangir Moghul also carved a niche for himself in the community service from the very young age and has gone out of the way for the causes of humanity. He has supported numerous individuals and bodies quietly who remain grateful to him for the timely and generous help. Jahangir Moghul has been elected to the sub-committees of the Karachi Chamber of Commerce and Industry (KCCI) over the years having looked after matters relating to Foreign Affairs, Finance and Law & Order. He has also served on the Board of Directors of Karachi Cotton Association, Pakistan Yarn Merchants Association, Karachi Customs Group and Karachi Seed Merchants Association and Pakistan Banks Association. He had made the country proud by facilitating the visiting teams from England and South Africa in a splendid manner during the Cricket World Cup 1996. As the Convenor Sports of Karachi Gymkhana he had organized their week-long practice and training sessions at the club, having handled the foreign and local media very efficiently. Jahangir Moghul has actively participated in many welfare projects too. Besides contributing to Rotary proactively and generously for over quarter of a century now, he has lent support to various welfare organizations. He has been elected to the Managing Committee of Karachi Gymkhana on a number of occasions. He has also served the club as Honorary Treasures besides having headed its Sports Committee. Currently he heads Karachi Gymkhana’s Vigilance Committee. He has been an active Rotarian since 1984. Having been elected to various positions in Rotary Club of Karachi Mehran, including its President in 1995-96, he was elected as the Charter President of Rotary Club of Karachi Darakhshan in 2004. He has served the cause of Rotary at the district level consistently for more than 30 years. 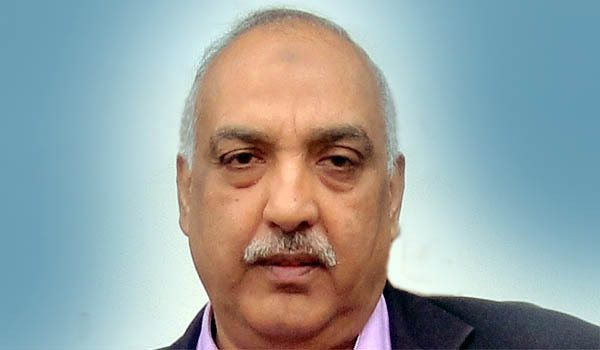 Jahangir Moghul served as an Assistant Governor (2008-09) after having been the District Secretary (1998-99, 2001-02). He also served as a member of the nominating committee for DGN (1996-97). He has been the zonal coordinator of numerous committees. He is a Paul Harris Fellow and a Major Donor Level-I.